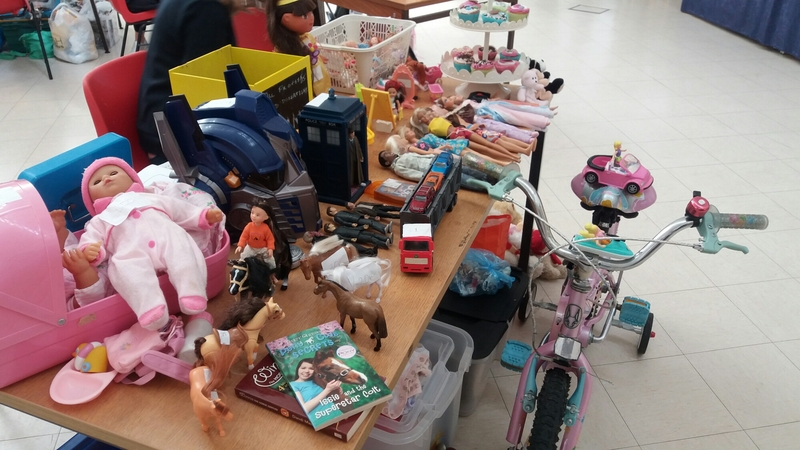 Today has been the day my local church held a Table Top Sale. I booked a Table and decided to donate any money I got from selling my stuff on the stall to MIND as the charity helped both me and my mum when I was first diagnosed with BPD and admitted to a psychiatric ward so I thought I would give something back. This is a picture of the stall (the friend who was helping me run it had made the cakes) We managed to sell quite a few things and also received donations which got our fundraiser to a grand total of £77.94 which was better than I had expected and it was lovely to see young children so happy with their new toys. Doing the Table Top Sale was a great idea not only because it helped raise money for charity but also because it got me involved in the community and spreading awareness about mental health. For more information about MIND check out my Useful Resources page and click on the link provided.